This part is devoted to the four protagonists of our story. It recounts essential summaries of their lives, and presents short papers on the various aspects of their activities. It utilizes one of Albert Hirschman’s stratagems vis-à-vis Eugenio Colorni: it considers the latter and his work alive, so as to dialogue with him daily. AC-HII will extend this practice to the life and work of all four protagonists, with the intention of reviving their presence among the members and friends of the Institute; spreading their intellectual influence; further developing research on the matter; supporting the formation of a new generation; and reminding the wider network (of entrepreneurs, managers, directors, public administrators, politicians, etc.) that sprang up from past activities of its intellectual starting point and facilitating its daily application. Eugenio Colorni (1909–1944) was born in Milan to a well-to-do Jewish family steeped in the tradition of the Risorgimento. A philosopher and a student of G. A. Borgese (aesthetics) and P. Martinetti (metaphysics), he graduated in 1930 with a thesis on Leibnizian individualism supervised by Martinetti. To continue his studies, he took up residence at Berlin and Marburg as a Reader of Italian. During this time, he had his first meeting with Ursula and Albert Hirschmann. In 1933, he completed his specialisation in Milan with a thesis on the early philosophy of Leibniz, and became a high-school professor of philosophy. He then moved to Trieste where he joined the ‘Centro Interno Socialista’, of which he would later take charge. He was arrested in 1938 and after a period of detention in Varese, was sentenced to five years’ confinement at Ventotene. With his wife Ursula, he supported the elaboration of Altiero Spinelli and Ernesto Rossi’s manifesto on the United States of Europe, to which he later wrote an introduction. 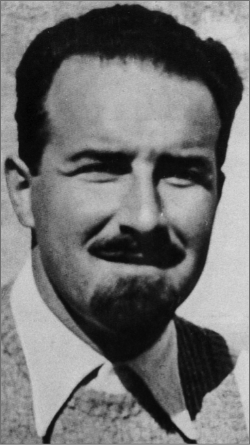 Escaping from confinement in Melfi, where he had been transferred with his family, Colorni moved to Rome and joined the Resistance. He was assassinated in May 1944 on the eve of the liberation of the capital. Otto Albert Hirschman (1915–2012) was born in Berlin to a family of middle class assimilated Jews. He studied at the Französisches Gymnasium and then enrolled in the Faculty of Economics at Humboldt University, but soon had to emigrate. He continued his studies at the Ecole des Haute Etudes Commerciales in Paris, the London School of Economics, and finally at the University of Trieste, where he worked in close collaboration with his brother-in-law Eugenio Colorni and from where he received his degree in economics in 1938. Involved in several anti-Nazi and anti-fascist activities in France, Spain and Italy, he took refuge across the Alps after the enactment of racial laws and the arrest of Eugenio. He enlisted in the French army and, along with Varian Fry, dedicated himself to rescuing scores of European intellectuals, helping them escape to the United States. Changing his name to Albert O. Hirschman, he enlisted in the American armed forces and returned to Italy with the Allies. After the war, he worked on the Marshall Plan as an economist with the Federal Reserve, researching the Italian and French economies and some inter-European payment schemes. In 1952, he moved with his family to Colombia, thereby developing a semi-exclusive interest in the problems of less-developed countries that would occupy him for almost 14 years. Professor of development economics and international economics at the University of Columbia and later at Harvard, he moved in 1974 to the Institute for Advanced Study in Princeton (NJ) as a professor of social science. There, he worked with Clifford Geertz and other scholars towards the development of a new interpretive social science. 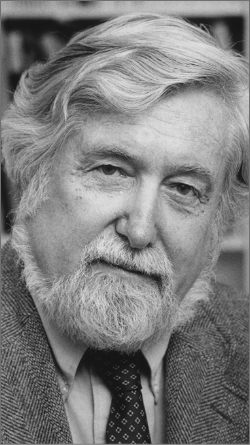 Clifford Geertz (1926–2006) was born in San Francisco and grew up in rural California. He served in the US Navy during the war, and later, thanks to the GI Bill, studied English and philosophy at Antioch College and cultural anthropology at Harvard, where he worked with Talcott Parsons and Clyde Kluckhohn. With his wife Hildred, he was awarded a scholarship by MIT to conduct his first ethnographic studies on religion in Java, which supplied the material for his Ph.D. thesis in 1956. 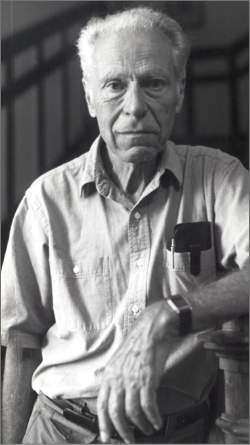 In 1960, he became a professor of anthropology at the University of Chicago, where he wrote his first texts on symbolic anthropology and directed the multidisciplinary Committee for the Comparative Studies of New Nations. In 1970, he joined the Institute for Advanced Study in Princeton (NJ) as a professor of social science. Geertz floated and developed a School of Social Science based on interpretive social science together with Albert Hirschman and other scholars. He alternated his ethnographic research in Muslim countries, first Indonesia and later Morocco, with his writings on the interpretation of cultures, on comparisons with developed countries, and on the practice of anthropology. 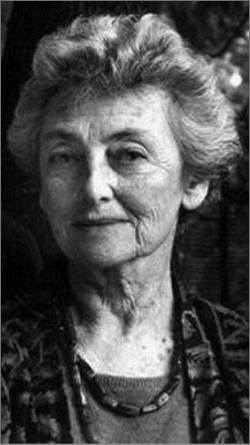 Sarah Hirschman was born in Lithuania in 1921, spent her formative high school years in Paris, and completed her university studies in philosophy and French literature in the United States (Columbia and Berkeley). In 1941, she married Albert Hirschman. Her collaboration with him (their Colombian interlude, learning Spanish, studying anthropology) introduced her to a world of openness to social problems, which she would later address using her knowledge and passions with great originality. In 1991 Albert dedicated to her his extraordinarily imaginative book—“The Rhetoric of Reaction”—with the words ‘To Sarah, my first reader and critic for fifty years’. Sarah’s name is inextricably tied to the programme ‘Gente y Cuentos/People and Stories’, which aims at bringing the best literature to people who have been deprived of it due to social or environmental constraints. Over time, she developed the programme starting from her own discovery that ‘literature, which is usually seen as reserved for the few, can become the arena where unusual connections are established among people who ordinarily have no access to it. People find their own voice and a new self-assurance as the fictional text helps develop a surprising ability to manipulate ideas as well as share with each other personal feelings’. This project springs from two different sources. Firstly, it draws on research carried out in the 1960s and 1970s among Latino immigrants in New York and Massachusetts, which experimented with advanced forms of community work. Secondly, it is influenced by Sarah’s familiarity with the work of Paulo Freire, through her participation in seminars he conducted at Harvard at the beginning of the 1970s. Here, Sarah found her calling. Freire maintained that people can acquire knowledge only if they are able to meaningfully relate it to their own lives. With his own students, he engaged in dialogues on ‘generative themes’ that were relevant to them: starting from a projected image of a wall, they were able to arrive at discussions about the use of water and land ownership. This is what Freire called ‘conscientization’, as opposed to the ‘banking’ concept of education. According to Sarah, even literary works that are not directly related to immediate concerns can serve as a source of generative themes, and people without formal education can be ‘sensitive to the images, metaphors and rhythms of the poetic texture’ and capable of critical reflection on themselves and their relation to society. In 1974, when Albert moved to Princeton, Sarah launched the Spanish programme ‘Gente y Cuentos’ with a group of Latinos in various localities of New Jersey. The experiences emerging from it were deepened and diffused in terms of geography (first in other states of America and finally in France and Argentina), language (starting with the first English sessions conducted in Trenton in 1986) as well as the topics covered. The programme is founded on three pillars: stories, coordinators and groups. The choice of stories was the crucial starting point—they had to be brief, in the language of the participant group, and capable of stimulating ideas. Sarah invested much enthusiasm in the selection of stories. She drew on her wealth of literary knowledge, which she kept updated through her interest in the works of great contemporary Latin American writers (she had ‘discovered’ Gabriel Garcia Marquez before he became famous) and anthropologists (such as Ruth Correira Cardoso); she maintained a special focus on those authors who were influenced by common speech and had transformed it in their literary works. Coordinators are those who, like Sarah, organize a session (having identified a place and a homogenous group), animate the meeting, read texts aloud, stimulate the discussion such that everyone participates, and elicit impressions, buried memories, rationales and intentions. Over time, Sarah’s work came to focus on the training of coordinators, who have to be able to combine a literary sensibility with the capacity to interact with a very particular set of participants. The groups are tied to the places in which the sessions are held, such as public libraries, schools, areas of the neighbourhood, and even prisons. The book (People and Stories / gente y cuentos. Who owns literature? Communities find their voice through short stories, iUniverse, New York, 2009) in which Sarah explained her reasoning and described her methodology is full of examples of stories that have evoked reactions, emotions, new relationships between people, and the deepening of experiences. The processes triggered during the course of the sessions include the overthrowing of barriers between generations, communities and ethnicities. The impression created is that of a humanity shaken from its sleep, enlivened, rising and gaining confidence, and perhaps even changing its life, but without the presumption that immediate results are at hand. Sarah had to overcome numerous obstacles to gain acceptance for a programme that later won many accolades—first among intellectuals who did not believe that this section of the public could appreciate literature, then among those who assumed that a project based on literary works was not militant enough, and finally among funding organisations, who needed outputs to justify their investment and who tried to slot the programme into a predefined classification (an educational programme, a work placement or welfare project) in order to evaluate it using simple indicators. Sarah endeavoured to explain to each of them that literature is not a luxury but an intense experience of self-reflection, and that evaluations must take this into account. The School of Social Science which Clifford Geertz, assisted by Albert Hirschman, managed for more than 25 years starting from the 1970s, hosted more than 500 researchers at the Institute for Advanced Study. During this period, together with Robert Darnton, Clifford also taught an undergraduate course on Anthropology and History at Princeton University. A description of these activities can be drawn from papers and recollections. Moreover, we hope that prominent collaborators and contributors at the School—such as Robert Darnton, Wolf Lepenies, Bill Sewell and Quentin Skinner—will help us discuss and re-propose themes and solutions that were worked out at the time.